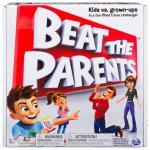 Beat the Parents is a fun-filled family trivia game! Adults answer questions about kid's stuff and kids answer questions their parents should know! 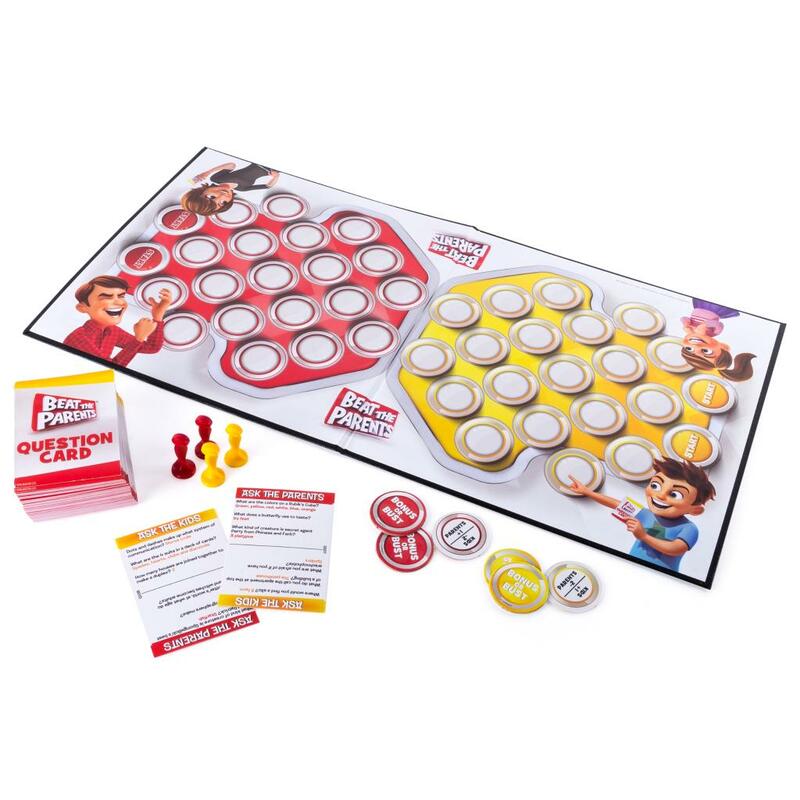 Beat the Parents brings kids together with their parents to go head-to-head in a fun-filled family trivia game. Prove who's the boss in the game where the adults answer questions about kids' stuff, and the kids answer questions their parents should really know. The first team to get both movers across the board to the other side’s start spaces wins the game! Kids Go Head-To-Head Against Parents in this fun-filled family trivia game. Watch out for the Bonus or Bust tokens. They can push you ahead or send you back! For a shorter game, play with only one mover per team. Beat The Parents is for 2 or more players, ages 6 and up. No batteries required.